Nerf Iron Spider Assembler Gear Just $11.98! Down From $25! You are here: Home / Great Deals / Amazon Deals / Nerf Iron Spider Assembler Gear Just $11.98! Down From $25! Exclusive for Amazon Prime Members only! Amazon is currently offering this Nerf Iron Spider Assembler Gear for just $11.98 down from $24.99 PLUS FREE shipping! Get ready to build and blast like the wall-crawling web-slinger with Iron Spider Assembler Gear! 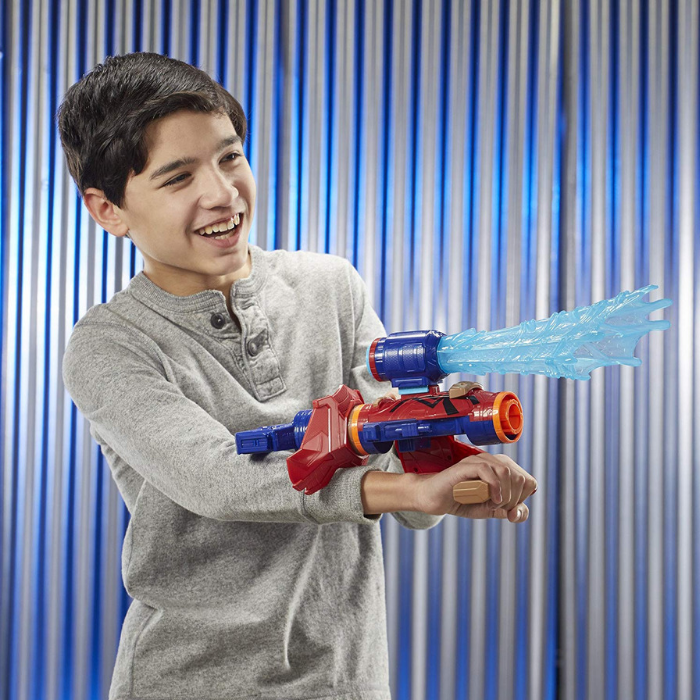 Powered by Nerf and featuring movie-inspired design from the Marvel Avengers: Infinity War movie, Assembler Gear lets kids and fans alike create different blaster combinations and blast into action like their favorite Marvel heroes! Collect, combine, and customize! With Avengers Assembler Gear featuring Nerf technology, kids can assemble their ultimate blaster and imagine taking down the bad guys! Each Assembler Gear set features different blaster combinations and can be combined with other Assembler Gear sets (each set sold separately) to build customizable blasters and get ready to blast into action!